Update your kitchen or bath with the industrial-inspired style of Top Knobs Serene 7.56 in. Lily Cabinet Pull. 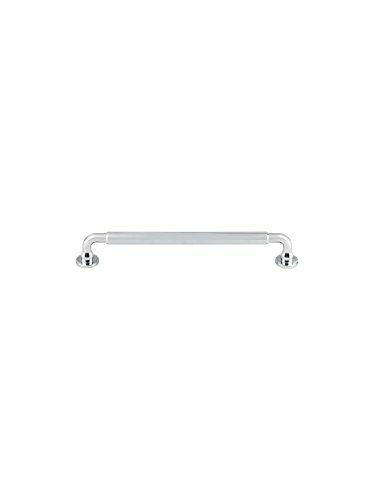 Available in your choice of finish, this tubular pull features a slightly raised center, rounded corners, and circular ends for an on-trend look you'll love and a sturdy way to access your cabinetry interiors. Dimensions: 8.44L x 0.5W x 1.31H in.. Zinc alloy construction. 7.56 in. pull center to center. Transitional design. Choose from available finish options. Gobrico 10Piece Kitchen Cabinet Handle Furniture Drawer Dresser Pull T Bar Knob Stainless Steel Hole Center 76mm/3in Length 127mm/5"